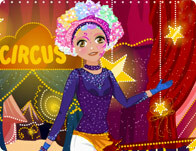 In this Fairytale Land, you can dress up like any one of your favorite Disney princesses, or create your own fairytale! Become a stylish Disney Princess and show off your amazing singing talent! This Butterfly Girl loves to dress up in butterfly spun silk dresses and float around flowery fields with her cousins and friends. 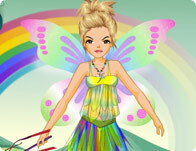 Style her hair and wings in a colorful and fun way!